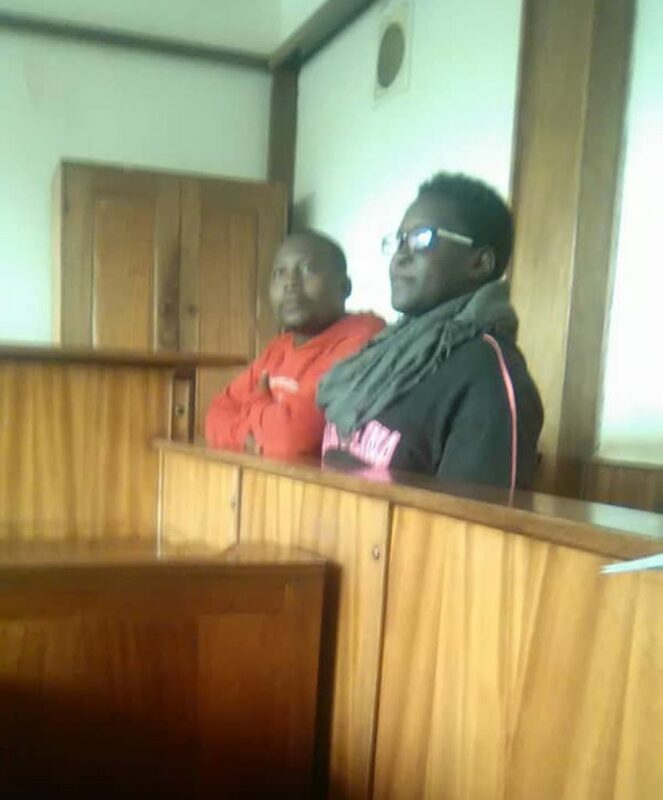 KAMPALA: Court has sent to Luzira the two youth activists who were arrested on Monday at Parliament in Kampala where they had carried a coffin protesting the rampant cases of kidnaps and killings that target women in Uganda. Ferdinand Luta, a Boda-boda rider from Bundibugyo District and Rebecca Achom, a language interpreter, residing at Mbuya zone in Nakawa Division-Kampala, appeared before Buganda Road Grade One Magistrate Robert Mukanza and denied the charges of inciting violence. The resident State Attorney Ms Janet Kitimbo informed court that inquiries into this case are still on-going and that they need more time for police to conclude with the investigations. Prosecution states that on June 4, 2018 at Parliament Avenue in Kampala, without lawful excuse, the accused persons and others still at large, did an act calculated to lead to destruction or damage of property. Ferdinand Luta and Rebecca Achom appearing before court today. They have been remanded to Luzira Prison until June 20 for a ruling on whether to grant them bail or not. The group had accused the Members of Parliament of doing nothing to safeguard the lives of the girls and women who have recently been victims of kidnaps and murder. However police rushed to apprehend them for holding a demonstration in disregard of the Public Order Management Law.